There has been little promotion of the fact that as of 1 July 2016, stamp duty had been abolished in NSW on the goodwill and intellectual property components in a business sale. Additionally, if the business sale does not include the transfer of a lease or land in NSW, there may be no stamp duty payable on the sale transaction. 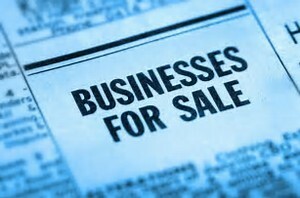 These changes may have a significant impact on the decision as to whether to sell the business assets. Quite commonly, the sale price of a business was assigned largely to the goodwill and intellectual property of the business. When businesses were valued based on their customer base and revenue rather than tangible assets like plant and equipment and trading stock, then the amount of stamp duty attracted on the goodwill and IP components were significant. When the business is sold, the purchaser may have been liable to pay up to 4% to 5.5% of the purchase price in stamp duty. This impost added a significant cost to the transaction and had impact on the price negotiation. So as to avoid the payment of stamp duty, a purchaser may have chosen to acquire the shares in the entity rather than buying the entity’s assets, particularly so if the transaction did not involve the transfer of real property. While the decision to acquire the shares or the business assets would necessarily require consideration of other factors, such as asset and business structuring, tax liability consequences, and management of exposure to business risks and claims, the immediate saving of stamp duty costs had a significant bearing on the decision. A selling company may be embroiled in litigation with a third party, or it has not paid enough attention to proper corporate governance and compliance. A buyer may not wish to concern itself with the potential of assuming onerous liabilities of the target company. Therefore it may choose not to acquire the shares in the company as the company continues to be exposed to those liabilities. Therefore a decision to proceed with a business asset purchase would be made all the easier with the relaxation of stamp duty charges.